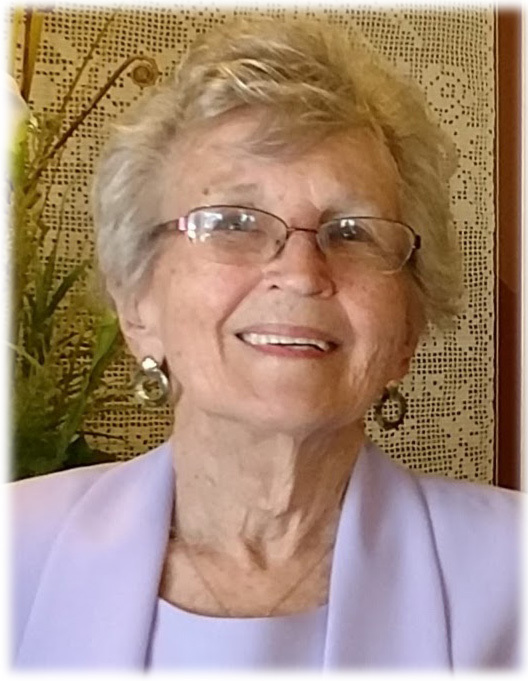 Christine Perry Aaron, age 90, of Lawrenceburg, TN passed away Sunday, August 12, 2018 at NHC Healthcare of Lawrenceburg. She was a native of Grassy, AL, former Lawrence County Court Clerk, retired from TDOT, and a member of Macedonia Baptist Church for over 61 years. Mrs. Aaron was a devoted wife for over 71 years, a mother and a nana. She was also a 50 plus year member of the Order of Eastern Star and a State Officer in 1993. Her home chapter was the Ethridge Eastern Star where she was a charter member. She was preceded in death by her parents, Albert and Bessie James Perry; two granddaughters, Melissa Ann Aaron and Emily Suzanne Aaron; and four brothers, Dennis Perry, Coleman Perry, Cortez Perry and Landon Perry. Several loved nieces, nephews, extended family, church family and friends. Arrangements are being handled by Neal Funeral Home, 231 N. Military Avenue, Lawrenceburg, Tennessee. The family will receive friends from 4:00 PM to 8:00 PM Wednesday, August 15, 2018 at Neal Funeral Home with an Eastern Star Service at 7:00 PM. Funeral services will be conducted at Macedonia Baptist Church at 1:00 PM Thursday, August 16, 2018, with Larry Spears officiating. Mrs. Aaron will lie in state at the church from 11:00 AM to 1:00 PM. Interment will follow at Macedonia Cemetery in Lawrence County, TN. Family suggests memorials be made to Shriners Hospitals for Children, Attn: Office of Development, 2900 N. Rocky Point Dr., Tampa, FL 33607. or St. Jude Children's Research Hospital, 501 St. Jude Pl., Memphis, TN 38105-9959.